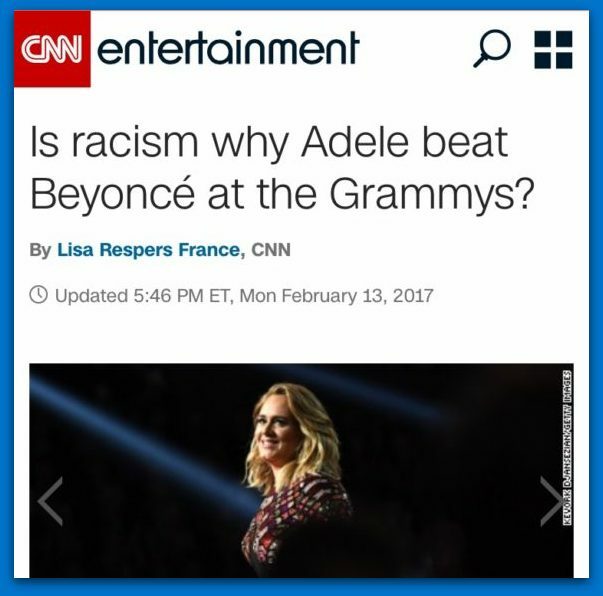 The CNN headline reads… “Is Racism Why Adele Beat Beyonce At The Grammy’s?” Really CNN? Adele won fair and square because she had the best song! End of story. CNN is at it again playing the race card to stir up controversy. Adele and Beyonce were both nominated for song of the year, record of the year and album of the year. Adele won all 3 categories taking home 3 Grammy’s on Sunday so of course it’s racism, not talent that won her the awards according to CNN. Even Adele thinks Beyoncé should have won the album of the year Grammy over her. When the British pop star tearfully accepted the ceremony’s top award Sunday night, she shined a spotlight on the woman she said she has loved since she was 11 years old. Certainly for her diehard fan base known as the Beyhive — and for many music critics — Beyoncé’s “Lemonade” was a creative masterpiece. But with its racial themes and imagery, some are questioning if the project was “just too black” for Grammy voters. Someone needs to inform CNN that Beyonce is actually the most nominated woman and second most awarded woman in Grammy history. Read about all of Beyonce’s awards here. Why can’t a white woman win an award and enjoy her successes without it turning into a discussion about race? Both women are talented singers and they both have many awards to show for it. 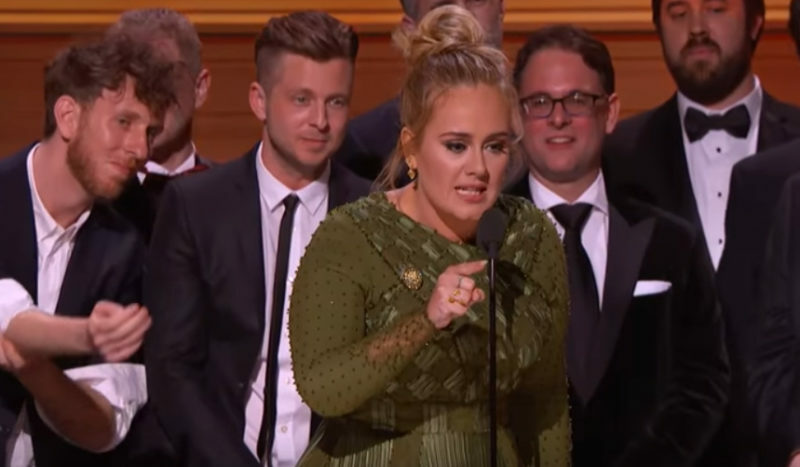 Adele’s acceptance speech was even about her love and admiration for Beyonce. Brigitte Gabriel Reveals Muslim Brotherhood Plan For The Destruction Of The U.S.